Hobbies: Yoga, Snowboarding, and Beaching it up. My love for the beach and crafts has been apart of me since a child. Now all grown up and our wedding date was set, it was time to think about decor. Of course it was going to be a beach wedding, I wanted decoration but not too much to take away the natural beauty that was to surround us. I wanted simple, but elegant, and of course starfish. I worked hard, but enjoyed every moment of it. After the wedding, I got so much positive feed back, that my husband and I decided it was time to start Sea to Land Designs. Each product is hand crafted by me. Each item is uniquely made and no two items will be exactly a like. 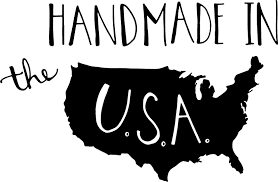 I use quality products to create a beautiful, unique item that is made with care and love.